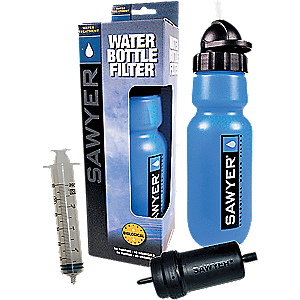 I bought this for easy filtering and duel purpose use......and it worked perfectly!! I bought this for easy filtering and dual purpose use. 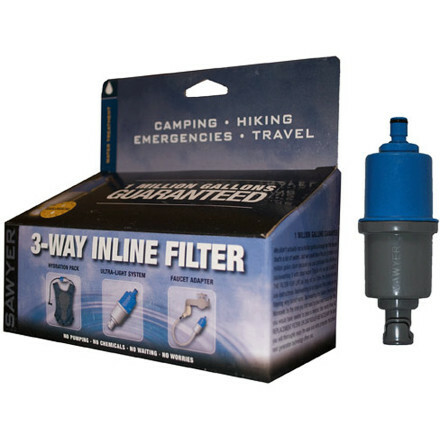 I purchased this filter along with a Platypus Big Zip 2L. 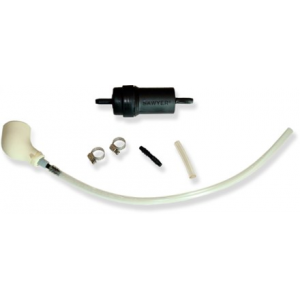 I cut the tube from the Platypus in the middle, shortened the hose and placed the filter in the middle. I also added a thin rope tied to one of the holes on one end and on the other end it's tied to a carabiner, so I can then carry it easily and hang it on wide branches for gravity filtering. 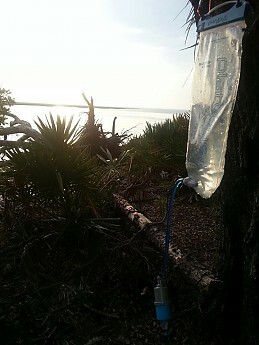 While hiking my wife uses just like anyone would use a Platypus bag....for drinking. 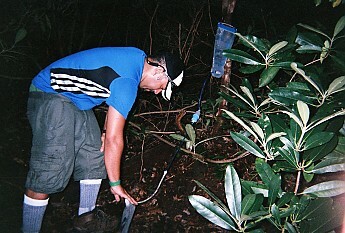 Then when we get to camp I get out my extra 2L Platypus bag and extra 5 inch hose (folded down, both fit in a small plastic baggy), fill my big zip then use gravity to fill the other bag with clean water. I have used this on 7 trips already totaling probably 60 gallons or so (I drink a lot of mountain spring tea). It's quick, easy and works!! I would recommend this setup to anyone. It's what I will use till I find a better one. Price Paid: 70 USD ? 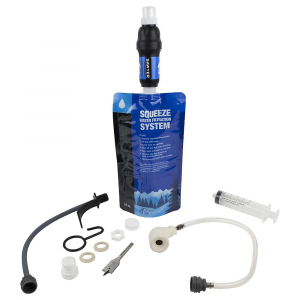 Works, been using this with two plattys and use an MSR silt-stopper before the Sawyer, to hopefully prolong the life of the Sawyer filter. It's a little on the slow side, but if I was in a rush I'd get another filter. I've never got sick drinking water from this, so I'm assuming it works. Does what it's supposed to do, works great in a gravity-filter setup. 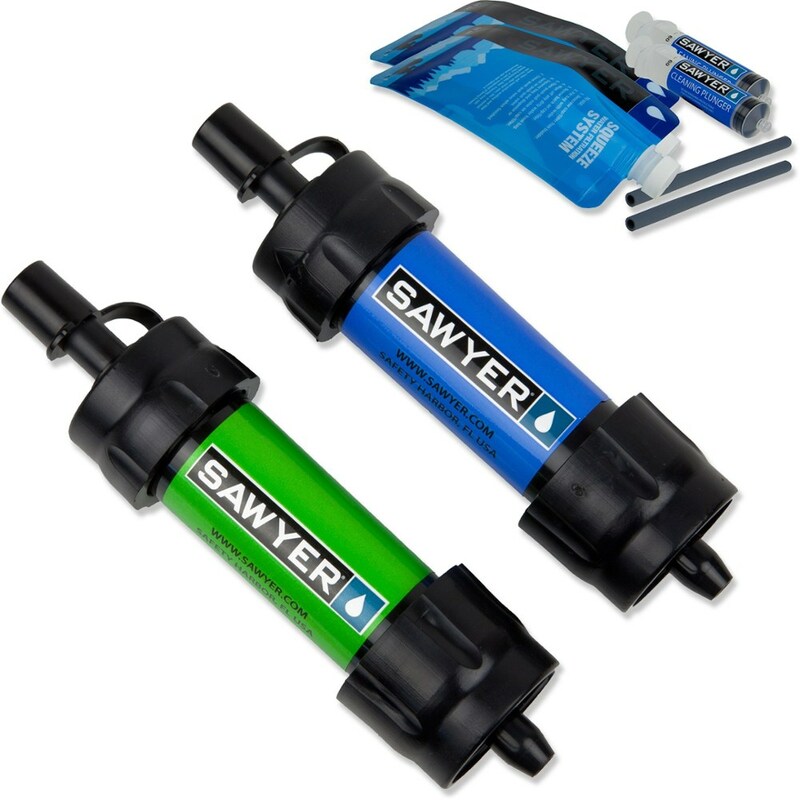 The Sawyer Inline Water Filter is not available from the stores we monitor. It was last seen August 14, 2016	at REI.